Leslie Robinson with Colorado Confidential posted today on the air quality problems facing western Colorado communities amid booming oil and gas development. Plain and simple, Colorado communities need consistent protection from air pollution released by oil and gas developments no matter where they're at. What do you think about this issue? Rocky Mountain Clean Air Action left its comments on Colorado Confidential, you should do the same! In an editorial yesterday, the Grand Junction Daily Sentinel voiced its support for stronger rules to reduce air pollution from booming oil and gas development in western Colorado. It seems all the more sensible for at least one of the proposed remedies, which can boost revenue to drilling companies for a modest up-front investment. That remedy involves capturing gases released from condensate tanks on well sites. The conservation group Western Colorado Congress cites figures from federal and state agencies to show that by installing new equipment on the condensate tanks, and capturing the gases that are otherwise simply released into the air, the gas companies can recover the costs of the new equipment over a period of several months to two years. What a wonderful idea! Controlling air pollution AND making money, what an amazing opportunity for the oil and gas industry. A condensate tank spews out toxic smog forming pollution, in addition to valuable gases like methane, propane, and butane, which can be recovered for a profit. And this is not outlandish in the slightest. The air pollution released by condensate tanks is composed of methane, butane, propane, and other valuable gases. A vapor recovery unit can collect these gases, put them back in the sales line, and yield a payback, all while reducing air pollution by 95% or more. Reducing air pollution to protect human health always makes sense, but when it can be profitable, it's a no-brainer. Support for a stronger rule to reduce air pollution from oil and gas developments in Colorado continues to mount. Will Colorado Petroleum Association Actually Support Communities? In a letter to the editor of the Denver Post, Stan Dempsey with the Colorado Petroleum Association wrote yesterday that, "The Colorado Petroleum Association supports statewide air quality regulations." Referring to a proposal that would reduce emissions of toxic smog forming pollution from oil and gas developments across Colorado, Stan also explained that, "These regulations illustrate our commitment to supporting and responding to the needs of communities located near our operations." Responding to the needs of communities? Let's get real here. The Colorado Petroleum Association and Stan himself have expressed opposition to citizen, community, and local government requests that the Air Quality Control Commission adopt stronger rules to reduce emissions of toxic smog forming pollution from oil and gas developments. As usual, the oil and gas industry is showing that when it "responds to the needs of communities," it's only when it suits their own interests. The Colorado Petroleum Association is not responding to the needs of communities, but is instead attempting to subvert genuine concerns over the impacts of oil and gas drilling to community health and welfare. Communities know what's best for their air, and it's a shame the oil and gas industry won't respect their wishes. To protect clean air in the Front Range, Rocky Mountain Clean Air Action filed suit today against the U.S. Environmental Protection Agency (EPA) over its failure to overturn a state-issued air pollution permit for Fort Saint Vrain Station, a massive power plant owned by Xcel that is also a significant source of smog forming pollution. 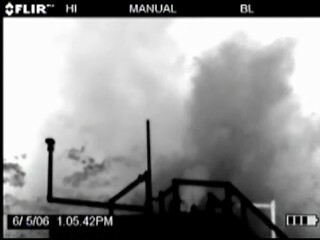 According to the state of Colorado, the Fort Saint Vrain Station, which is near the town of Platteville in Weld County, burns natural gas and releases over 5 million pounds of smog forming pollution a year, including 1,223 tons of nitrogen oxides, 1,196 tons of carbon monoxide, and 80 tons of volatile organic compounds. The amount of nitrogen oxides released is equivalent to the amount released by over 64,000 cars each driven 12,500 miles a year (according to the EPA a car releases 38.2 pounds of nitrogen oxide a year). The power plant also releases over 34,000 pounds of toxic air pollutants, including over 12,000 pounds of formaldehyde and 440 pounds of benzene. Formaldehyde is identified as a known carcinogen by the National Cancer Institute. Benzene can cause leukemia. At issue with the permit is that it fails to limit emissions of smog forming pollution and toxic air pollutants, and fails to require monitoring that protects human health. Although Xcel agreed to use best available control technology to reduce nitrogen oxide pollution from one of its turbines, the permit fails to require this. The permit also allows Xcel to use emission factors to measure volatile organic compound emissions, despite the fact that those emission factors have not been approved for use by the state of Colorado. The permit was issued to the power plant under Title V of the Clean Air Act, which governs the issuance of “operating permits.” Operating permits are required to set forth measures that ensure pollution limits are met and human health is protected. They also impose strict monitoring requirements. Permits under Title V are issued by states, but citizens can petition the EPA to object to them. In July of 2005, Rocky Mountain Clean Air Action founder and director Jeremy Nichols petitioned the EPA to overturn the pollution permit for the Fort Saint Vrain Station. By law, the EPA was required to grant or deny the petition within 60 days. More than a year later, the EPA has yet to respond. Today’s lawsuit, which was filed against the EPA Administrator in Washington, D.C., challenges the EPA’s failure to respond to the petition. "You Cannot Make Regulations too Stringent"
Residents of Garfield County, the epicenter of Colorado's latest oil and gas boom, came before the Air Quality Control Commission in Denver last Friday and Saturday with one clear and compelling message: we need stronger rules to protect us from the oil and gas industry's rising air pollution. The Air Quality Control Commission is now slated to decide whether or not to adopt stronger clean air rules this December 17th. Garfield County is the epicenter of Colorado's latest boom. Over 3,000 oil and gas wells have been drilled, with thousands more projected. Most of these wells are centered in the Colorado River Valley, where the towns of Silt, Rifle, Parachute, and other communities are located. The oil and gas industry can drill wells where it wants, even on private property and without landowner permission. 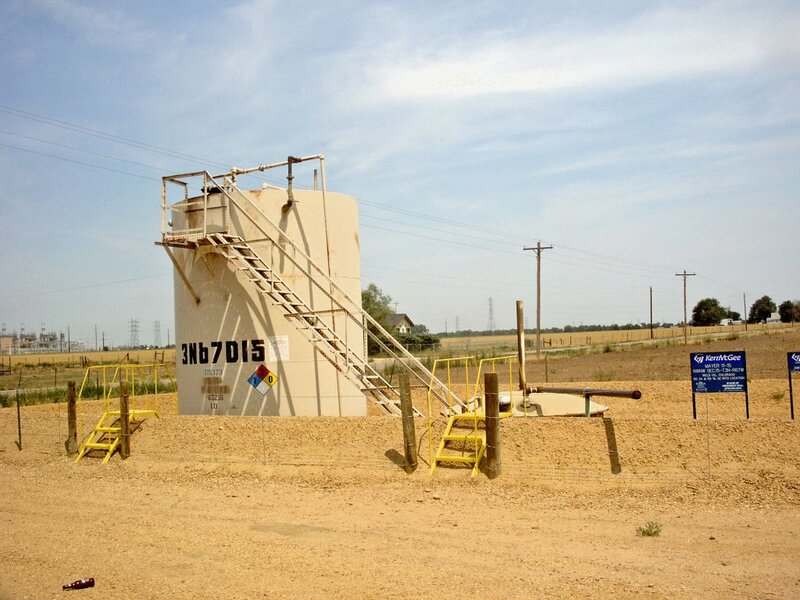 Many residents now have wells being drilled or producing near their homes. One of many drill rigs in Garfield County, with Battlement Mesa in the background. When it comes to air pollution, oil and gas is king, especially in Garfield County. Oil and gas developments release 77% of all human-made toxic smog forming compounds in Garfield County, more than all the cars, trucks, and factories combined. This pollution is not only contributing to rising smog levels in western Colorado, but poses serious health risks. One of the smog forming compounds released by oil and gas includes benzene, which can cause leukemia. The health of Garfield County residents is squarely at risk. As Tim Trulove testified, "We've had doctors tell both of us that our health is is to the state where we have to leave or die." To address this, the Colorado Air Pollution Control Division asked the Air Quality Control Commission to adopt a rule that would limit emissions of toxic smog forming compounds from oil and gas developments. The proposed rule would require condensate tanks that emit 20 tons/year or more to reduce emissions by 95%. 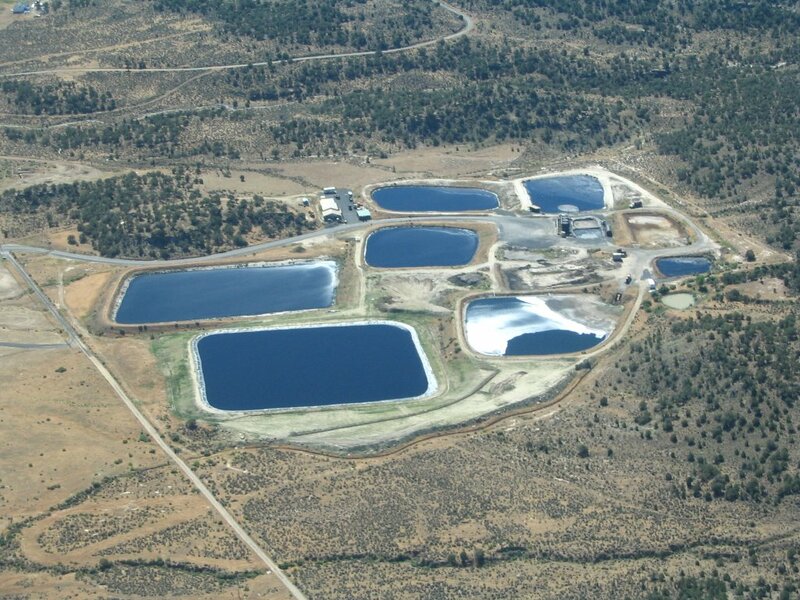 Many local governments, organizations, and citizens throughout Colorado, however, asked the Commission to adopt a stronger rule that would require pollution reductions from condensate tanks that emit 11 tons/year or more. Such a requirement is being proposed for the Denver metro area. We won't know until December 17th whether the Commission will adopt a stronger rule, but the message is loud and clear. Booming oil and gas drilling needs to be tempered with effective clean air regulations that clear our skies and protect our communities. Hopefully the Air Quality Control Commission will adopt a stronger statewide rule to reduce air pollution from oil and gas. The Denver Post today voiced its support for two proposed rules that would reduce smog forming pollution from oil and gas development in Denver and across the state of Colorado. The Post even urged the Colorado Air Quality Control Commission to adopt a stronger statewide rule. That rule would require all condensate tanks that emit 11 tons/year or more of smog forming pollution to reduce emissions by 95%. This same rule is being considered for the Denver metro area, which begs the question, if it's good enough for Denver, why isn't it good enough for the rest of the state? Kudos to the Denver Post for weighing in on this important rulemaking. The Denver metro area is teetering on the brink of violating clean air standards for smog, largely the result of increased oil and gas development north of Denver. With booming oil and gas development happening across the state, we need to get a handle on air pollution. As the Post stated, "The commission needs to take action; there's no need for energy production to jeopardize the public health or Colorado's clean skies." Moving to protect Colorado's air quality and people's health, Rocky Mountain Clean Air Action filed its statement in support of a proposal to eliminate the "upset conditions" loophole. The loophole has allowed polluters to violate air quality limits and standards for over 30 years, threatening communities throughout the state. An upset is essentially a malfunction and the current loophole provides that in the event that a malfunction exceeds air quality standards, a company will not be held liable for these violations. The loophole begs an important question: If air quality standards are in place to protect human health, how can we possibly allow them to be violated, even in the event of a malfunction? And this is the heart of the matter. Upsets, or malfunctions, should not occur in the first place. Good planning, proper operation and maintenance, and careful attention should prevent any malfunctions. This just makes sense. Sooner or later, equipment will breakdown, so why not anticipate this and make sure this never happens? The current rulemaking effort is a direct response to a petition filed by Rocky Mountain Clean Air Action with the U.S. Environmental Protection Agency. Joining Rocky Mountain Clean Air Action in the effort to eliminate the upset conditions loophole is the Environmental Integrity Project, the St. Vrain Valley Communtiy Watchdogs, the Mothers Against Burning Tires, and Friends of the St. Vrain River Valley. A rulemaking hearing is slated for December 15, 2006, at which point the Colorado Air Quality Control Commission will adopt a rule that will eliminate the upset conditions loophole. Just a reminder, Rocky Mountain Clean Air Action has a new website at http://ourcleanair.org. The Mesa County Commissioners on Monday rejected a request by local citizens to push for stronger smog reduction rules in Colorado. While it's true that vehicle emissions and other sources of air pollution are contributing to unhealthy air in Mesa County, so is oil and gas development. The Mesa County Commissioners questioned why clean air regulations are targeting oil and gas developments. This question misses the mark by miles. No one is denying that cars are contributing to unhealthy air in Mesa County. The fact of the matter, however, is that while cars come equipped with pollution controls, the oil and gas industry is virtually unregulated. In fact, according to the state of Colorado, there has been a 16% increase in emissions of smog forming pollutants from oil and gas development in Mesa County. Adding to this, Mesa County has yet to voice support for air pollution reductions from vehicles. Rocky Mountain Clean Air Action has two words: double standard. Or is that industry apologist? The silver lining in all this, is that Mesa County voiced support for the Air Pollution Control Division's proposal to reduce emissions of smog forming pollution from oil and gas developments across the state. Mesa County has more work to do, however. Toxic air pollution in Grand Junction, the heart of Mesa County, has reached levels similar to Denver. Mesa County needs to start taking advantage of any opportunity to reduce air pollution. For the health of their citizens, the Commissioners can't afford to simply point fingers. Dust from the CEMEX cement plant in Lyons, Colorado continues threaten local residents, despite repeated pleas from families, enforcement actions from the state, and a barrage of negative attention on the cement plant. Our partners, the St. Vrain Valley Community Watchdogs, have been at the forefront of working to hold CEMEX accountable. Today, the Watchdogs posted pictures showing more dust problems at the cement plant. This isn't harmless dust we're talking about. Cement dust is not only extremely fine, fine enough to be breathed into the very bottoms of our lungs, but is exceptionally hazardous. Increased cancer risk, difficulty breathing, wheezing, abdominal pain, burning sensations, and long-term lung damage are just a few of the harmful effects of breathing cement dust. The sad thing is not only are cement plants required by federal law to prevent their dust from polluting our air, but it's extremely easy to control dust. This is yet another perfect example of CEMEX's disregard to human health and environmental protection. It's no wonder that groups across the country are mounting a campaign to hold CEMEX accountable. CEMEX has had chance after chance to clean up their act, yet failed time and time again. Rocky Mountain Clean Air Action feels that CEMEX has worn out its welcome. With such consistent disregard to the health of their neighbors, it may be time for CEMEX to shut down and get out of town. What Does Bill Ritter's Election Mean for Clean Air? With the elections over, Colorado has found itself with the first Democratic Governor in nearly a decade, Bill Ritter. Rocky Mountain Clean Air Action could care less about whether Colorado's new Governor is a Democrat or a Republican. As a nonpartisan clean air and health advocacy group, our only concern is how Ritter's election could affect the air that our families breathe. So, how might we fare with Ritter? Ritter's stated campaign position has been and continues to be that Colorado's air quality must be protected. His "New Economy" proposal calls for an emphasis on developing renewable energy resources, particularly in rural Colorado communities, as well as increased energy conservation and efficiency. His proposal calls for "responsible" development of fossil-fuel resources, which includes protection of air quality. Protecting clean air, in fact, seems to be a consistent theme throughout much of Ritter's stated positions. However, while Ritter's general statements seem encouraging, we know little of how he may respond to Colorado's specific and pressing air quality issues. 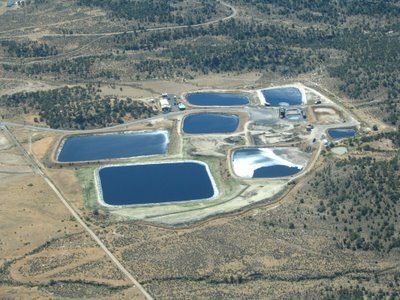 For example, how will Ritter respond to the increased push to mine and mill uranium in Colorado, a potential major source of radioactive air pollution? How will Ritter respond when companies like CEMEX, which operates a cement plant near Lyons, illegally release toxic air pollutants into our air? Will he slap these companies on the wrist, as Governor Owens has done for the last eight years, or will he seek permanent accountability through steep fines and other penalties? How will Ritter respond to rising smog levels throughout Colorado? Will he wait for problems to get worse, or will he keep problems from happening in the first place? Will he hold the oil and gas industry, which is the source of much of the state's smog forming pollutants, accountable through strong rules and tough enforcement? Will Ritter stand up to require coal burning power plants to reduce mercury emissions, or will he allow utility companies to continue to contaminate the water we drink from and play in with this potent neurotoxin? Will Ritter work to reduce toxic air pollution in Colorado's urban communities, or will he simply ignore the fact that people in Denver are 100 times more at risk of getting cancer from formaldehyde pollution than people in rural communities? I don't know the answer to these questions, and I don't think Bill Ritter does either. Not yet, anyway. That's because he hasn't been asked. And that's where we all come in. In the coming months and years, we're going to need strong action for clean air and community health in Colorado. But to really get the action--and answers--we need to protect ourselves and our families from air pollution, it's going to be up to us to make sure Bill Ritter hears us loud and clear. Ritter has successfully staked out a position that bodes very well for clean air, but it's going to take communication to really make sure his position translates to the action we need, to make sure he follows through with his promises. Perhaps the better question is, what do you want Ritter's election to mean for clean air? Rocky Mountain Clean Air Action wants it to mean clear skies, healthy children, and accountability among polluters. What do you want it to mean? The future is truly in our hands. Now let's get out there and make sure our newly elected Governor takes action for the clean air we deserve. Bill Grant, the President of the Board of the Western Colorado Congress, a partner of Rocky Mountain Clean Air Action, writes in the Grand Junction Free Press that "Mesa County is at a crossroads." Why? Because of booming oil and gas development in the region, which in turn is leading to urban smog pollution in western Colorado. The Denver metro area has grappled with the same issue, with disastrous results. Booming oil and gas development led to 66 exceedances of the federal health standard for smog, also known as ozone, just this last summer. The Colorado Air Pollution Control Division is now proposing to ratchet down on emissions from oil and gas. The proposal would reuqire a 95% reduction in smog forming compounds from condensate tanks that release 11 tons/year or more. But despite rising smog in western Colorado and booming oil and gas development, the Air Pollution Control Division is proposing weaker clean air standards for the west. Instead of reducing pollution from condensate tanks that release 11 tons/year or more, the Division is targeting only those tanks that release 20 tons of smog forming compounds per year or more. The inequity is cause for serious concern, as Bill explains. Although Denver's air quality is certainly worse, it doesn't make much sense to require strong smog reductions only where clean air is most at risk. Smog reductions required for the Denver area should be equally applied to the rest of Colorado. Big city air pollution needs big city solutions. With Mesa and other western Colorado counties seeing urban smog problems tied to oil and gas development, there's no reason that clean air rules for Denver shouldn't be expanded to the western slope. The Colorado Air Pollution Control Division recently posted their summary of enforcement actions for the 3rd quarter of 2006. Of the 43 enforcement cases reported, 23 are against oil and gas companies or related to oil and gas development. 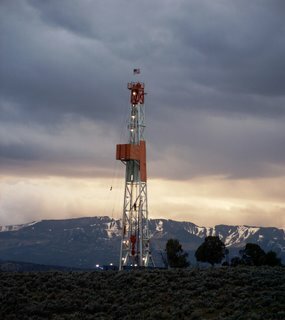 The oil and gas enforcement cases of note: three cases are against Williams Production, one of the largest natural gas producers in western Colorado, and one is against the City and County of Denver. It's disappointing to see the City and County of Denver cited for violating air pollution control regulations related to oil and gas development, especially given that the Mayor's Greenprint Denver plan calls for reducing air pollution emissions. This raises two questions: If the City and County of Denver aim to reduce air pollution, (1) What are they doing drilling for oil and gas? and (2) What are they doing violating air pollution control regulations? Mayor Hickenlooper has some explaining to do. It's even more disappointing to see so many oil and gas companies cited for air pollution violations. There appears to be a culture of apathy among the oil and gas industry when it comes to protecting people from air pollution. Take Williams, for example. One of the enforcement cases listed involves emissions of toxic smog forming compounds from waste pits, such as the ones pictured below. These pits are constructed solely to evaporate poisonous compounds into the air we breathe, yet Colorado air quality regulations clearly prohibit this practice. Williams either wasn't aware of this regulation or simply ignored it. Either way, Williams contempt toward clean air is placing families and communities at risk of cancer and other illnesses. As a final note, it's important to point out that Coors Brewing was the subject of enforcement action from the Air Pollution Control Division in October. Amazingly, earlier in October, the Colorado Department of Public Health and Environment named Coors Brewing as a "Colorado Environmental Leader." What a joke. Coors Brewing wouldn't know environmental protection, and especially air pollution control, if it bit it in the behind. An article today in the Wyoming Casper Star Tribune reveals that six oil and gas companies, including EnCana, pledged $3.9 million toward monitoring air quality in the Pinedale area of southwestern Wyoming, which is beset with booming natural gas drilling. This monitoring is a crucial first step toward clean air in Wyoming. Over 3,000 natural gas wells already exist in this area of Wyoming. Up to 10,000 new natural gas wells may be in store for the future. The U.S. Environmental Protection Agency has commented that this level of development will lead to significant increases in smog pollution. This prediction has not been far fetched: In 2005 and 2006, health standards for smog, or ozone, were exceeded 9 times in this region. Air monitoring in Wyoming is crucial to holding the oil and gas industry accountable to clean air. Unfortunately, progress toward monitoring and accountability is lacking in other parts of the Rocky Mountain region. At the same time the oil and gas industry is ponying up to pay for air monitoring Wyoming, industry has yet to contribute one cent to do the same in Colorado. This, despite rising smog pollution throughout the state, including in Denver and western Colorado. This fact is reprehensible given that companies like EnCana, who have pledged money for clean air in Wyoming, have paid hundreds of thousands of dollars in fines for illegal air pollution in Colorado. So far in 2006, EnCana was cited by the state three times for multiple air quality violations in western Colorado: once in March, once in April, and once in June. EnCana's track record of protecting clean air in Colorado is truly pitiful. This double standard needs to change. The oil and gas industry, and particularly EnCana, need to start paying for air quality monitoring throughout the Rocky Mountain region, including Colorado. The Air Quality Control Commission is scheduled to decide whether or not to reduce emissions of smog forming compounds from oil and gas developments in Colorado on Friday November 17 and Saturday November 18. The hearing will be at the Colorado Department of Public Health and Environment in the Sabin Room at, 4300 Cherry Creek Drive South in Denver (near Colorado Blvd. and Cherry Creek Drive South) and will start at 10:00 A.M. Your presence at the hearing could make a huge difference for clean air in Colorado. The public will be given the opportunity to comment on Friday. 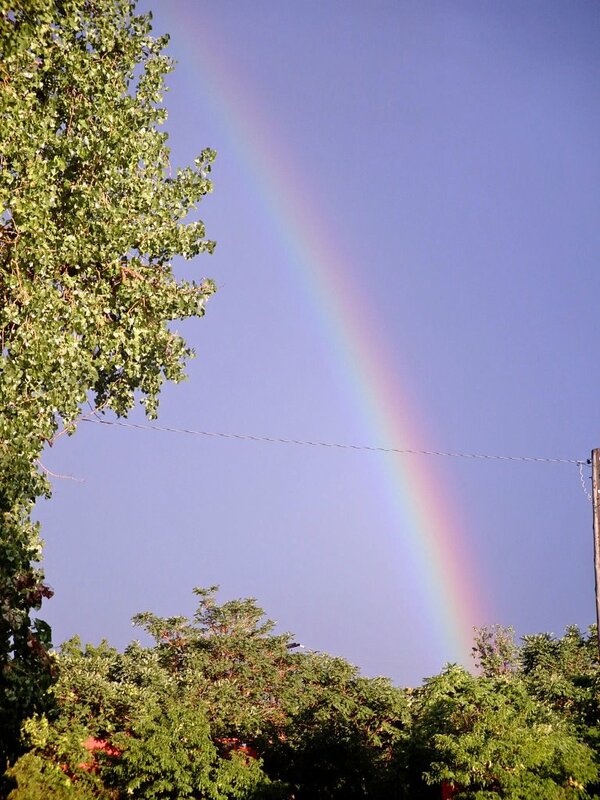 There will be an opportunity to comment in support of statewide smog reductions in the morning and an in support of Denver smog reductions in the afternoon. Please make time to come to this hearing if possible! We have a draft letter online for talking points. In an October 26, 2006 letter to the editor to the Grand Junction Free Press, the Colorado Oil and Gas Association asserts that a 1,200 horsepower natural gas fired compressor engine cannot possibly release as much pollution as 8,000 cars. This assertion, however, is as wrong as the toxic air pollution that the oil and gas industry is releasing into the air we breathe. Rocky Mountain Clean Air Action has responded. Calling on information directly from state-issued permits, which in turn is based on information from the industry, a 1,200 horsepower compressor engine can release as much pollution as 8,042 cars. That's not the end of it. Even smaller engines release massive amounts of nitrogen oxides, carbon monoxide, and smog forming compounds. The numbers speak for themselves and underscore what many of us already know: that the oil and gas industry is wreaking havoc on air quality and the health of our local communities.